Is your little one sitting at home alone on a Friday night? Is she having a hard time connecting with that special someone during playdates? Nobody to share a binky with? It’s an easy solution. 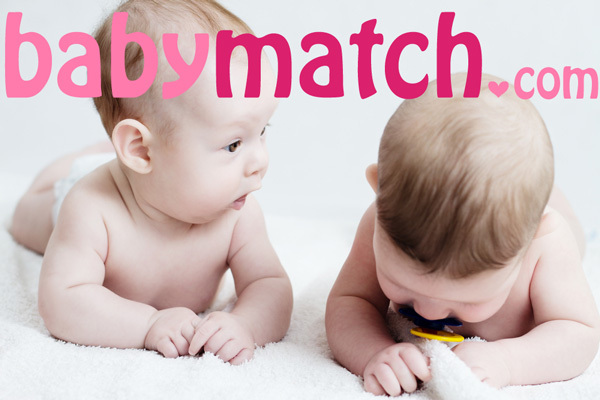 Babymatch.com. Find true love for your little one. No bathroom mirror photos. Nobody needs to see TP in the pic. Full body photos. Headshots mean she’s fat. Don’t show too much skin. Keep it classy. Make sure she has lots of activities and interests listed. It casts a wider net. Use proper grammar and punctuation. Fetal flashcards will ensure she’s capable of handling spell-check. Adorable photo? Check. Honesty? Check. Specific needs? Check. Profanity? None. Follow the simple guidelines and your baby will be headed down the aisle by kindergarten! This entry was posted in Beauty and tagged baby dating, baby love, playdate. Bookmark the permalink.